At Nuffield Theater lecture room A, Programme will be from 6-8pm on Sunday the 24th of November. With th audience compromising of both Shia, Sunni and non Muslims. 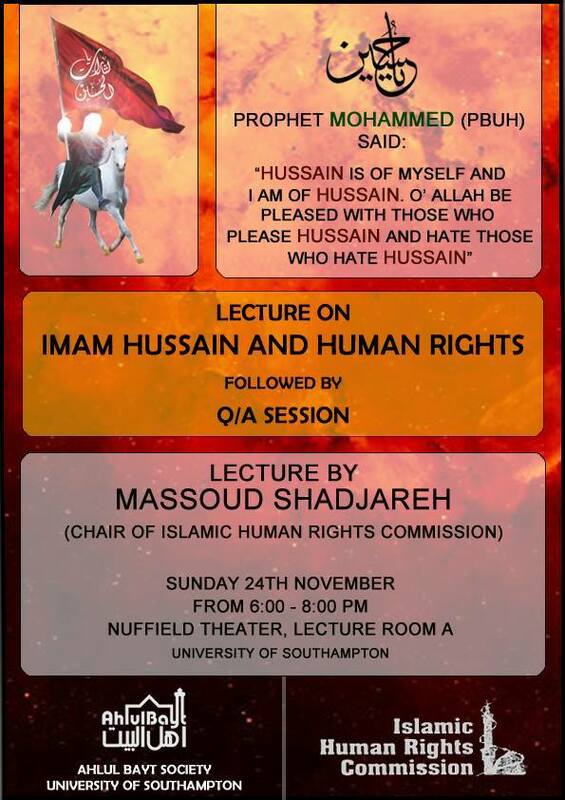 The lecture topic we would like to have is on Imam Hussein and Justice/Human Rights which will be followed by a Q&A session.